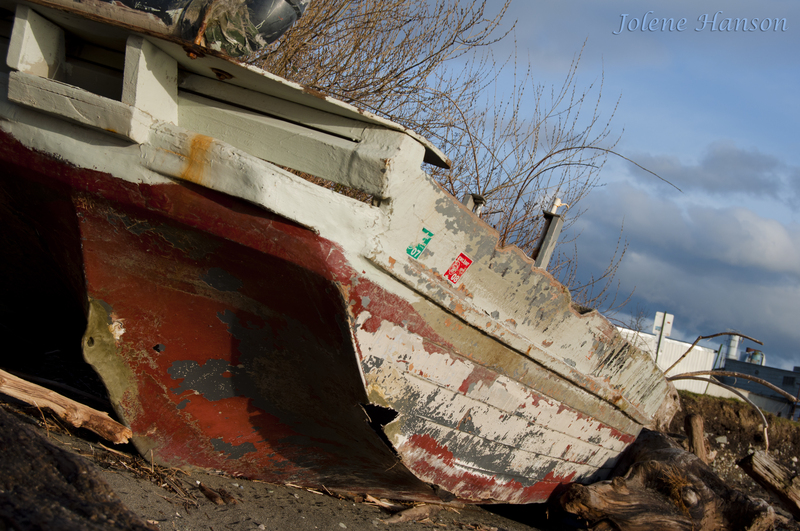 Can you believe there were two shipwrecked boats on the same beach? Well there were, and I was a little surprised considering this is Bellingham. I wasn’t even going to log on to my computer tonight to post, but then decided to visit Adorama.com to order the Nikon 18mm – 200mm f/3.5-5.6 I’ve been wanting to go with my new camera. It was important to get this new lens, because I just found out I’ll be one of the photographers at the Bellingham Roller Betties bout next weekend! I’ve secretly wanted to be in the roller derby, but considering I can’t skate and don’t take pain very well, photographing a bout is a far better alternative for me! I’m really excited! Mike, it’d be a great place to do our next photo walk, actually! Congratulations on the gig, Jolene!